The toxophilites had drawn together. Grapplers, gathered. Jockeys, jumbled. Every hair follicle on my fair head prickled as the sun beat us. Dorj, Yulia’s cousin, sat stoically in a black button up shirt, and black slacks. We were waiting for action! But instead, mayors, governors and other top dog’s were filling our ears with pretty speeches of inconsequence. Dorj kept saying, “Man they are opening long”. In all fairness to the big wigs, they were sitting in the shade, and had no idea that a sun of treacherous intent coupled with their endless rambling prose was mind bending! Suddenly the droning stopped and . . . Dancing! 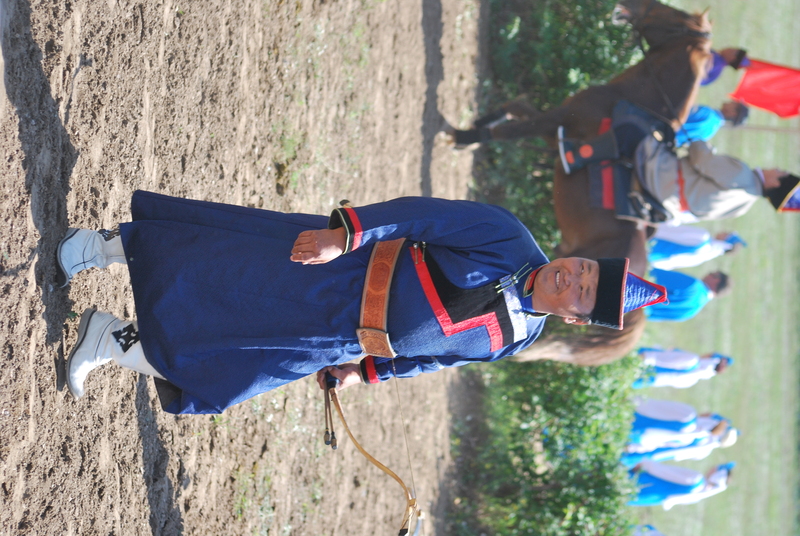 Buryats and Russians alike twirled and whirled in a kaleidoscope of color to our delighted eyes. And singing! (Check out some Buryat singing here) Buryat style and Old Believer style are quite unique and different from any singing style known in the West. 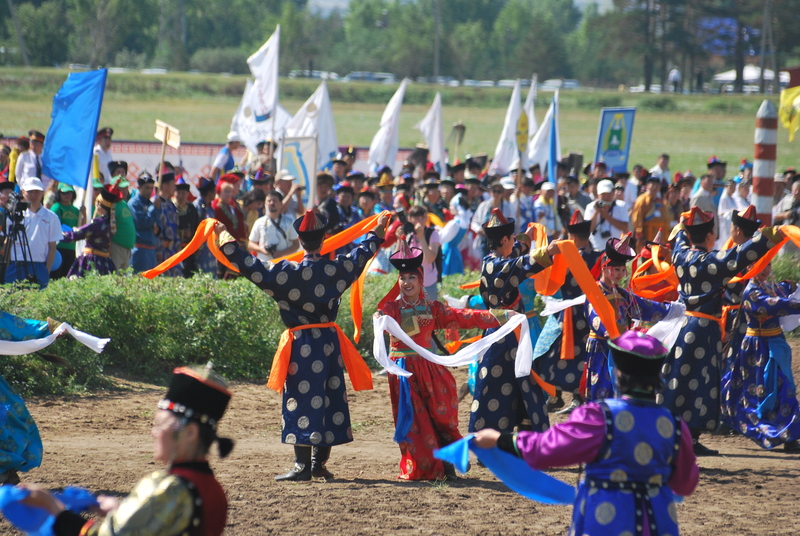 Twirling, silks of different hues billowing in Buryat hands, whirling, curved swords brandished in Cossack hands, color spun in dance to the lilt of their songs! 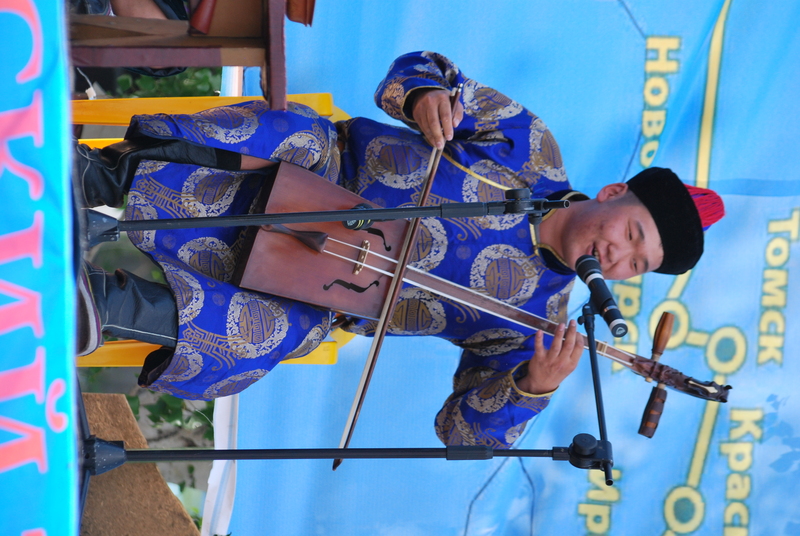 Traditional Buryat stringed instrument the Morin Huur. That was my introduction to Surharban, which means “hitting the target” in reference to archery. Toxophilites are by the way, “devotees of archery”. This is a festival celebrating archers, wrestlers and horse racers. All of which we watched under a burnt sun. After two ice-cream bars, a liter and a half of kvass, (a Russian sort of soft drink made of fermented bread, which Russians of all ages incessantly drink in the summer), several rounds of Mongolian style wrestling, and a couple rounds of archery, Dorj and I decided we were hot. 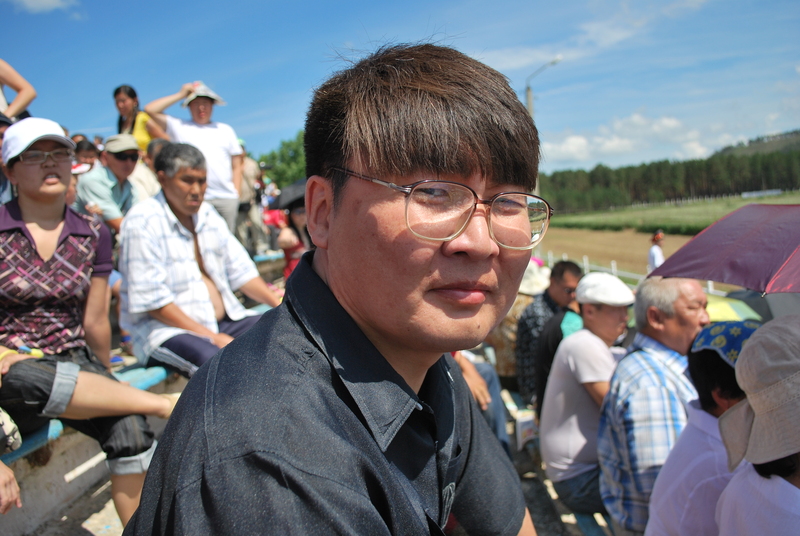 We left the stands, and went to the cultural area for lunch, and to enjoy the dancing and singing of Buryat and Russian groups from different regions of Siberia. Dorj in his stoic black. Yulia came in time to watch horse racing. Dorj and I hung on until the race when after eight laps, we couldn’t tell if the race would finish soon, or continue till midnight! We decided we were baked twice over, and it was time to go home for Pozi! (Traditional Buryat meat dumpling of sorts.) As the day wore toward dusk, Dorj, his father, Sanpil and I ate pozi, and discussed the Creator of the world, and how he is crazy about Buryats! Every tribe!